Experience beautiful yet affordable apartments in Denham Springs, Louisiana at The Crossing Apartments. Our community offers a variety of well-appointed one, two, and three bedroom apartment homes. Our spacious floor plans feature soaring nine-foot ceilings, large walk-in closets, beautiful bay windows, and a generous appliance package. Residents of our welcoming community will also be able to indulge in many resort-style amenities, which mimic the ambiance and convenience of a vacation getaway. Relax beside our sparkling swimming pool, keep up your health regimen in our 24-hour fitness center, and plan the ultimate party for friends and fellow residents in our elegant clubroom. For unique floor plans, unparalleled amenities, and unbeatable customer service, come home to Denham Spring’s best address at The Crossing Apartments. Call for your personalized tour today! Mere minutes from Interstate 12, The Crossing Apartments conveniently sits on Buddy Ellis Road, offering close proximity to major highways, which will assist you in navigating Denham Springs and its surrounding areas. Our central location is eight minutes from Spring Park Plaza and a short drive to the nearest Whole Foods Market and Fresh Market, making easily accessible shopping a viable option. When you are ready to dine out, Geisha Sushi, Randazzo’s Italian Market, and Café Phoenicia are all within the immediate area. For outdoor enthusiasts, our neighborhood features endless green space where you can lounge under the majestic oaks at Spring Park or go for long, invigorating walks in Willow Woods Park. 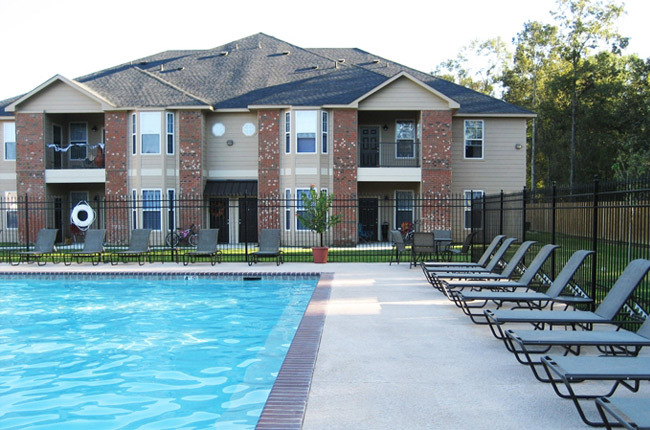 As far as location is concerned, we have all of your needs covered at The Crossing Apartments in the beautiful suburb of Denham Springs, Louisiana.